A comment by Dr. Matthias Kroll, Chief Economist in the Future Finance department at the World Future Council. At the COP 21 in Paris, the international community agreed on an agenda to cut greenhouse gas emissions to a level that will limit the rise in average global temperatures to 1.5°C. On 5 October 2016, the threshold for entry into force of the Paris Agreement was achieved. For a likely chance to stay below a rise of 1.5C, we have to reach zero emissions by 2050. This is not a choice, but a matter of survival, as the impacts of climate change already threaten human lives and ecosystems around the world. We need to scale up and accelerate the move towards 100 percent renewable energy. Actual policies currently in place continue to fall short of limiting global warming to 1.5C. A recent UNEP report found that even if every country that made an emissions-cutting pledge in the Paris Agreement keeps its promise, the world would still fall short of keeping temperature rise below 2 degrees Celsius over preindustrial levels. The individual commitments would only keep warming below 3 degrees at best, the report finds. Meanwhile, nations are on course to further miss the mark of the Paris Agreement’s more ambitious pledge to “pursue efforts to limit the temperature increase to 1.5 Celsius above pre- industrial levels” by 15 to 17 gigatons per year. 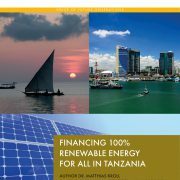 Thus we need to scale up and accelerate the move towards 100 percent renewable energy. How are we going to finance the fundamental transformation needed to reach this goal? The question remains: how are we going to finance the fundamental transformation needed to reach this goal? The International Energy Agency has established that $1tn per year of renewable energy investments would be needed to stay below the 2C limit. 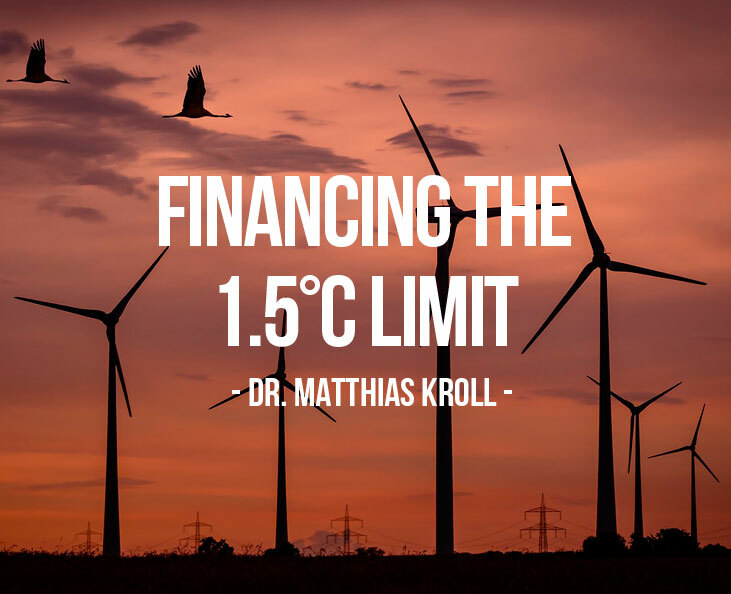 Thus, to achieve the 1.5C limit agreed in Paris, substantially higher investments will be required. A first rough estimation puts this figure between $1.5tn and $2tn. This number is much larger than the once promised $100bn per year to the new Green Climate Fund of the UNFCCC. And even the yearly achievement of the $100bn from 2020 seems unlikely. Using private capital for climate finance is only possible if there is already sufficient financial return to cover interest and reimbursement costs of the provided credits. But the bulk of the needed RE-Investments have – under the current conditions – too little commercial profitability for dealing with private credits. Thus, one way to accelerate RE-Investments would be to improve economic conditions by using grants from public money (e.g. for debt guarantees or feed-in tariffs). However, to match public grants with private capital we would need yearly sums considerable larger than 100bn from national budgets, which still seems very questionable. 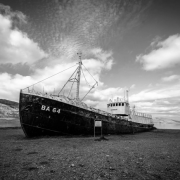 Especially since previous experiences with getting financial commitments from taxes or semipublic funds – such as from emissions trading – also tell us that the sums provided regularly fall short of what has been promised. An alternative way of financing could be the involvement of central banks. An alternative way of financing in form of grants (not loans) could be the involvement of central banks. 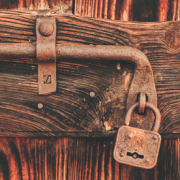 They can never become insolvent in their own currency due to their monopoly of issuing the legal tender – even if they purchase non-performing assets. The economic potential of central banks was witnessed during the bank bailout, leaving no apparent reason why they should not contribute to saving the climate with a fraction of the funds previously used. In order to do this, central banks would continue doing what most of them are currently doing to combat the effects of the financial crisis: Buying bonds to create new liquidity. To support climate finance, central banks would need to buy standardized “Green Climate Bonds” issued by the Green Climate Fund (GCF), Multilateral Development Banks (MDBs) or other dedicated financial institutions which are involved in climate finance. By doing so, central banks would finance concrete RE-Investment projects, rather than investing in government or corporate bonds. The monetary policies of the central banks would benefit from this new liquidity to finance real production instead of simply purchasing existing financial assets. So, instead of talking about “QE for the banks” we should focus on “QE for the climate”. This new monetary finance tool to influence the economy in a direct way gains even more importance because the old policies from the central banks have lost their power during the times of combating the financial crisis. 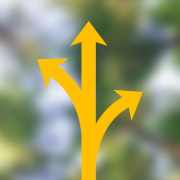 Standardized Green Climate Bonds should be perpetual and interest free. Due to their perpetual duration, Green Climate Bonds would become permanent assets of the central banks and thus form the foundation of regular money creation. This would ensure that the GCF or the MDBs are at the receiving end of new and non-repayable money with which it can increase the profitability of many existing climate protection investments. 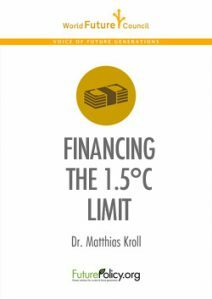 Likewise, it is now possible to finance adaptation and mitigation measures that result in no immediate economically exploitable yield. Considering the current behaviour of central banks up to $300 billion could easily be found within the regular money creation process. Ideally, all UNFCCC member states and their central banks should be involved in this new Green Climate system. The financing via standardized Green Climate Bonds could also be initiated through the participation of a relevant number of members. The advantage for states participating in the bond purchases would be that Climate Bonds purchased by their central banks would count towards their promised share of the $100 billion, without having to invest their own budget funds. For the real economy, such additional demand (on RE-Infrastructure and the related consume) would not lead to inflation since it will be globally distributed. 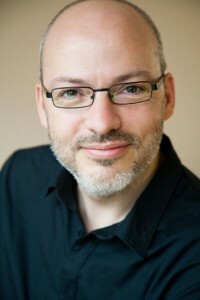 Even if new money creation succeeds in stimulating total investment and thus an additional demand of up to $2 trillion (including participated private capital), this would be a small stimulus package rather than an inflationary risk when seen in relation to the global economic output of around $80 trillion dollars. 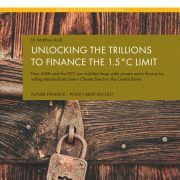 The proposed study would demonstrate how new money flows between the GCF and MDBs as bond issuing institutions and the central banks can finance the global transition to a renewable energy economy while supporting monetary policy objectives at the same time. 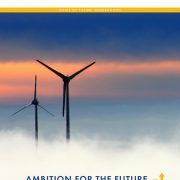 Reaching the 1.5°C limit will have to involve upscaling and accelerating the move towards 100 percent renewable energy (RE). Therefore, investments from 1.5 to $2 trillion per year are necessary. To trigger sums of RE-investments (including private capital) on such a large scale, a large involvement of public grants (at least 300bn per year) will be necessary. The only promising way to receive yearly public grants on that scale is the involvement of central banks (CBs) as the producer of all legal tender. 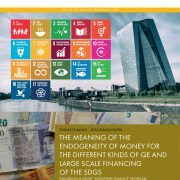 CBs should purchase standardized ‘Green Climate Bonds’ to channel the so created new money to the Green Climate Fund, Multilateral Development Banks or other dedicated financial institution which are involved in climate finance. No additional debt burden of public budget is needed and CBs gain a new monetary tool to stimulate the economy in a direct way. 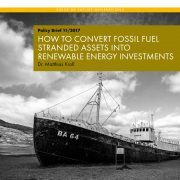 The proposed study demonstrates how the new money flows would be financing the global RE-transition.